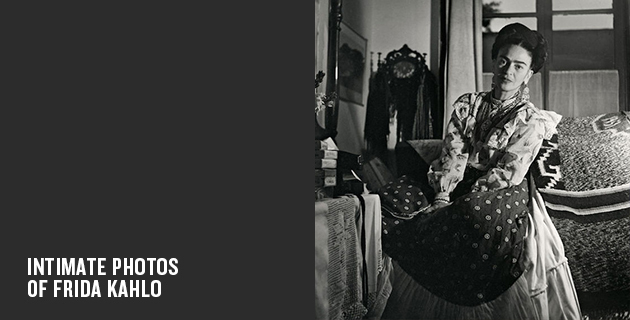 These photos by Gisèle Freund show Frida Kahlo in her famous “Blue House” in Mexico. The photographer briefly lived with the famous Mexican painter in the home she shared with her husband Diego Rivera just outside Mexico City in the 1950s. She photographed the final years of the artist’s life as well as capturing many features of Mexican culture. Freund’s book Frida Kahlo: The Gisèle Freund Photographs was published in March and shows many intimate moments from Kahlo’s life, from the precious time she spent in her garden, to moments in bed and wheelchair bound at the end of her life, and her portraits give a great impression of the vibrant character that she was.